Theresa May and the Conservative party are refusing to take the action needed to tackle the growing problem of Islamophobia and anti-Muslim sentiment among Tory members and politicians, and in our wider society. 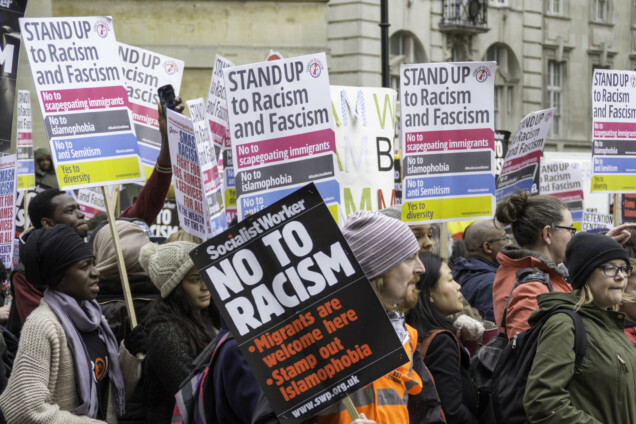 At a time when hate crime against all minority communities is rising, and when far-right extremism is a growing problem, they simply must not be allowed to get away with it. Just over two weeks ago, people around the world were left heartbroken and scared when 50 innocent people were murdered in a terrorist attack in Christchurch, New Zealand, for no reason other than their faith. This horrific attack was motivated by Islamophobia and anti-Muslim sentiment. But, sadly, these views are no longer held by extremists alone. Over recent years, they have crept into mainstream society and political debate. Everyone who cares about protecting our diversity and liberal, inclusive societies must act immediately to stamp it out. There is no denying that here in Britain the Conservative party has a particular problem with Islamophobia. Just last week, 15 suspended Conservative councillors were quietly reinstated, despite evidence showing they had posted or shared Islamophobic or racist material. And, in December, a Conservative party complaints panel found that Boris Johnson’s comparison of women wearing burqas to letterboxes and bank robbers had been “respectful”. The impact this has on ordinary British Muslims cannot be overstated. It sends a message that it is totally acceptable to mock women who wear a burqa, and that blatantly anti-Muslim racist abuse deserves a slap on the wrist at most. It has left communities across Britain feeling insecure and afraid of what the future might hold. I have personally been subjected to abuse based on my faith by people at all levels of the Conservative party. Several Conservative members and councillors have been suspended or arrested or have faced legal action as a result of Islamophobic abuse directed at me, and I have never received an explanation let alone an apology for the openly Islamophobic campaign the party ran against me in London in 2016. This didn’t just involve the Tory mayoral candidate, but extended to unacceptable attacks by a range of senior ministers — including the current prime minister. And it hasn’t stopped since. Just last year, the current Conservative London mayoral candidate, Shaun Bailey, shared an image online that described me as the “mad mullah” of “Londonistan”. He faced no investigation or action from the Conservative party whatsoever, despite having previously said that accommodating Muslims and Hindus “robs Britain of its community” and risks turning our country into a “crime-riddled cesspool”. Similarly, no action was taken against the Conservative MP Michael Fabricant, when he shared a different vile Islamophobic picture of me. The impact of incidents such as this isn’t about me — it creates much bigger problems. When the party in government sees no need to put its own house in order it sends the damaging message to wider society that Islamophobia and anti-Muslim sentiment are acceptable. It also sends a destructive message to young British Muslims about the abuse and racism they could face if they dare to pursue a role in politics or in the public eye. That’s why I wrote to Theresa May last week to ask her to adopt a new cross-party definition of Islamophobia. The new definition was produced by the all-party parliamentary group (APPG) on British Muslims, following a six-month consultation with MPs, academics, legal experts, Muslim organisations and representatives of other faiths. It has already been accepted by the Labour party, the Liberal Democrats, Plaid Cymru, an increasing number of councils and me at City Hall. The Conservative party has refused to adopt the new definition. The prime minister, asked directly if she would adopt it in the House of Commons, pointedly refused to answer the question. Instead, she sent the Conservative vice-chair, James Cleverly, to do TV interviews to deny that an agreed definition of Islamophobia even exists. The prime minister has also repeatedly refused to launch an investigation into Islamophobia in her party, despite calls to do so from a wide range of senior Tory politicians, including the former party chair Sayeeda Warsi. The Tories cannot be allowed to keep getting away with this. May pledged to tackle the “burning injustice” of racism when she became prime minister. If she is serious, then she must start by rooting out Islamophobia within her own party. That means adopting the APPG definition of Islamophobia for both the Conservative party and the government. Secondly, it means giving a firm commitment to investigate properly all Conservative party members and politicians accused of Islamophobic incidents. And thirdly, it means launching an independent investigation into Islamophobia into her party and implementing its recommendations. Racism, hatred and division of all types are sadly on the rise in Britain and across the world. These are dangerous times for all who care about diversity and tolerance. Everyone in public life has a responsibility to tackle it head on wherever we see it. I have never shirked this responsibility as mayor of London, loudly challenging all forms of racism — including the foul anti-semitism that has become all too common within the Labour party. It’s now time for the prime minister to do the same, and to take on the poisonous Islamophobia within her own ranks.